This past Thursday, Nov. 29, Iceland took over the Tabernacle. Sóley (pronounced Soul-lee) is a soulful musician from Reykjavík , Iceland, and a former member of the Icelandic band SeaBear. Just like many other artists originating in Iceland, Sóley Stefánsdóttir is of the Indie genre, pushing the limits of what is considered normal and standard in the world of music. 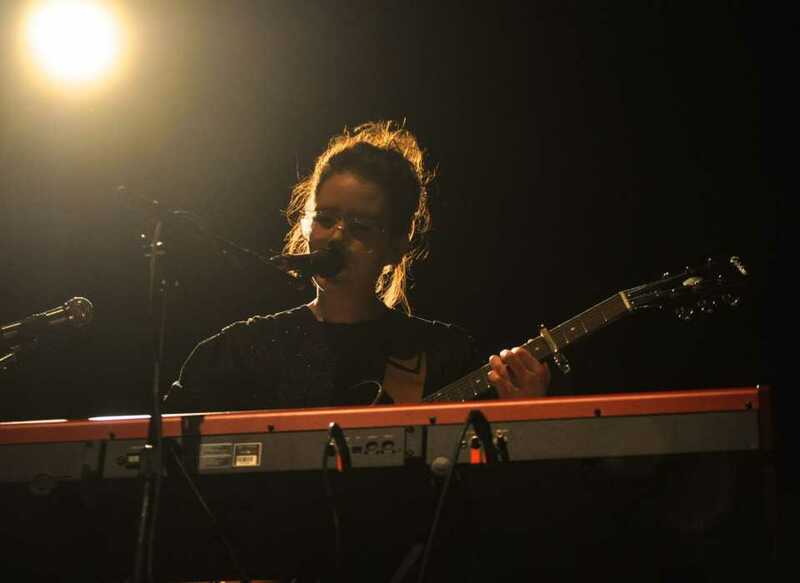 With her breathy vocals and mix of electronic and acoustic, Sóley proved to be a great opening act for Of Monsters and Men. [media-credit id=214 align=”aligncenter” width=”1024″] [/media-credit]Her set was simple, yet powerful. The show started with Sóley drinking a cup of tea and greeting the audience with her beautiful Icelandic accent. She continued to stay just as engaged with the audience throughout the entirety of the show, opening with the song entitled “Bad Dream.” This slightly eerie song demonstrated Sóley’s passion for the acoustic guitar. It’s slow tempo and almost whispered lyrics sent chills down each audience member’s spine. However, the full extent of Sóley’s talent was shown when she performed her hit song “Pretty Face”; the composition and execution of the piano music was flawless, and her voice just as pure, leaving the audience in awe of her memorable performance. Sóley’s calm and thoughtful music was the perfect start to the effervescent and cheerful performance of the main act. Of Monsters and Men, one of the biggest bands to originate from Iceland, was formed just a couple of years ago. Their success began when they won the Músíktilraunir, an annual battle-of-the-bands competition in Iceland; it has been all uphill for the band after that. Their most recent lead single, “Little Talks,” was an instant international success, reaching the Top 20 in over five countries and No. 1 on US Alternative Songs. With only one album out, My Head is An Animal, Of Monsters and Men has received much more praise than would normally be given to such a young group. During the Tabernacle concert, their performance began with “Dirty Paws,” their second most popular track. With the whole crowd singing along, the band’s liveliness did not escape throughout the night. It was obvious that they chose the set list with a careful eye, as each track added greatly to the whole concert experience. The night seemed too short, even with the band’s addition of two spontaneous songs. But even when the members left the stage, the magic did not leave the Tabernacle. It was a momentous night, one that every fan dreams of.